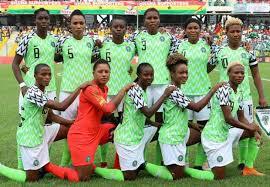 Super Falcons fall to defeat against Canada in Pre – World Cup friendly – Royal Times of Nigeria. 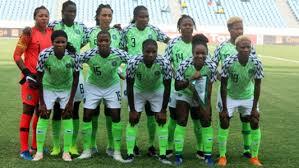 Nigeria’s Super Falcons fell to a two-one defeat against Canada in a pre-World Cup friendly encounter at the Pinatar Arena, Murcia today. Canada, who are ranked fifth in the world dominated the opening exchanges but it was the African champions that took the lead three minutes before the half hour mark courtesy of a fine strike by Desire Oparanozie. The North Americans levelled scores three minutes after the first-half break through Beckie Janine. Substitute Sophie Schmidt scored the winning goal for Canada in the 53rd minute with her well placed header going past Tochukwu Oluehi. Thomas Dennerby’s ladies will face hosts France, Norway and Korea Republic in Group A at the FIFA Women’s World Cup this summer.